… still a probationary clause, even if it does not include specific terms and entitlements of the probationary period. In several recent decisions, Canadian Courts have upheld probationary clauses that are included in an employment contract regardless of their vagueness or ambiguity. In this post, we explore several recent decisions about this issue and what they mean for those subject to employment probation. Originally a small claims court decision which examined a probationary period that allowed for termination of an employee within the first six months upon providing written notice or payment in lieu of notice under the Employment Standards Act, 2000 (“ESA”). At trial, the judge found that the probationary clause was not enforceable as the employee did not receive a copy of the handbook in which the clause was enclosed. However, the trial judge also found that the employee knew about probations in general, and have had them in previous jobs. On appeal to the Divisional Court and subsequently the Court of Appeal, the trial judge’s decision was overturned and the employer was found to be able to rely on the probationary period to terminate the employee. 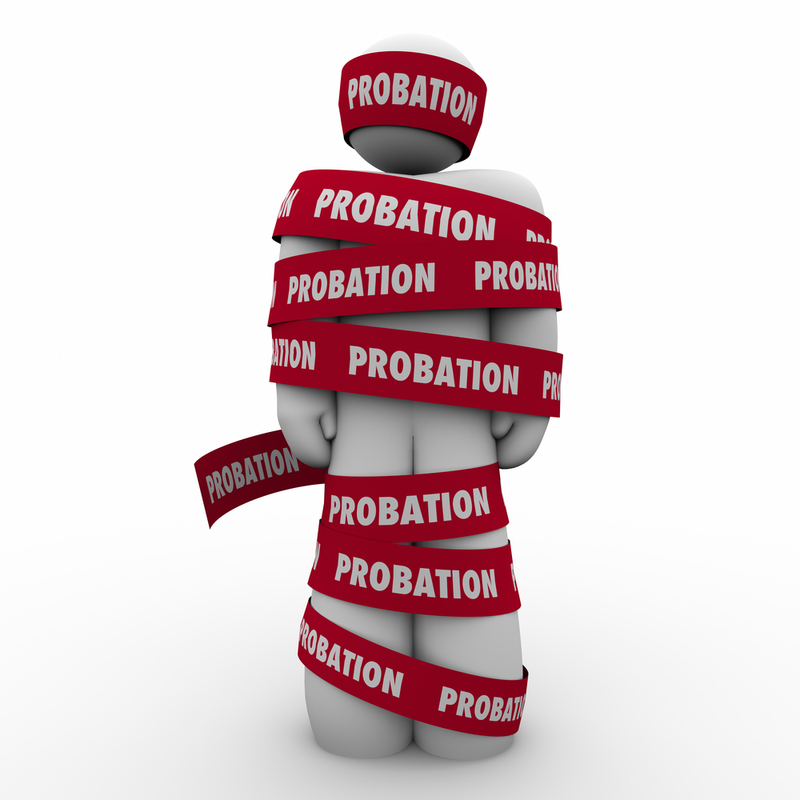 In its reasons, the Court of Appeal held that the term ‘probation’ is not ambiguous; both parties understand the precariousness of a probationary period that enables an employer to terminate an employee so long as the employer decides in good faith that the employee is not a good fit. The employee was found to be entitled to one weeks’ notice, as per his contract. There is a 6 month probation period associated with this role. During this time we will review your performance and development. This work offer will automatically become permanent upon successful completion of your probation period. Your professional performance and compensation package will be reviewed yearly, every July. Relying on this clause and the courts reasons in Nagribianko, the court held that the employer was within their right to terminate the employee within the probationary period, despite the clause’s silence on entitlements on termination. In practice, the employer provided the terminated employee with one weeks’ notice. In Ly, the Plaintiff was terminated pursuant to a probationary provision within the employment agreement. While there was no explicit probationary clause, the court found that a reference to a ‘probationary period’ within the contract was sufficient. Relying on the principles in Nagribianko, the court found that the employment agreement did have a proper probationary provision that allowed and employer to terminate an employee with the provision of minimal notice. Absent a clear indication of a probationary period, the courts will not imply a probationary clause or specific terms of a clause into the agreement. Despite a finding that a probationary period existed, the employer in this case was found to be in breach of the provision. In assessing whether an employer can terminate someone within the probationary period, the appropriate question is suitability of the employee, rather than if the employer had cause to terminate the employee. An employer has the obligation to fairly assess the probationary employee’s suitability prior to terminating him or her during the probationary period. In this case, the court found that the employer did not carry out that obligation in good faith. The employer alleged that the employee did not adhere to company policies, was insubordinate, and did not follow instructions. Upon closer examination, the court found that the employee did make reasonable efforts to engage with the company and tried to improve. The employee was not given a fair chance to demonstrate his suitability before the decision was made to terminate him. On these grounds, the court held that the employee was entitled to reasonable notice for the termination of his employment for the employer’s breach of the probationary clause. These decisions will no doubt have a significant impact on the law surrounding probationary periods in Ontario. While on its face the judicial reasons may seem logical, it conflicts with prior jurisprudence on the clarity required and certainty employment contracts must entail. In Wood v Deeley, 2017 ONCA 158, the Court of Appeal was clear in their decision that employment contracts must comply with the law or be rendered invalid. Probationary clauses, in a sense, are a type of early-termination clause. It provides that in order for an employer to terminate an employee it must be in accordance with the ESA. The probationary clause in Nagribianko does not include continuation of benefits upon termination. The clause in Van Wyngaarden does not mention notice or benefits at all. It is hard to see how the principle established in Wood can be reconciled with these new decisions. While Ly seems to follow the same principles as Nagribianko, the court is clear that an employer has an obligation to fairly consider an employee’s suitability and cannot terminate without doing so. This would be a positive thing for employees who may not otherwise be given a chance to prove themselves. In consideration of the gray area of law surrounding probationary periods, both employers and employees must be clear when contracting to specify the terms of any intended probationary period. As with many cases, a clear and unambiguous contract is beneficial to set out clear expectations between the parties in hopes of reducing issues during employment. Employers and employees that have concerns with respect to probationary periods and appropriate terminations should seek legal advice.